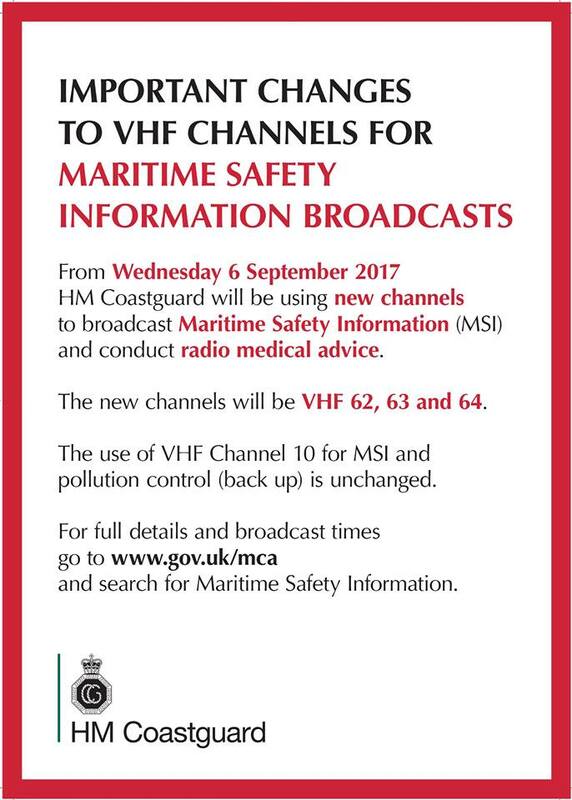 As of 6th September 2017 the VHF MSI channels are changing. These are the channels used to transmit weather and safety information. The broadcasts will continue to be announced on channel 16 with the areas covered by which channel. From 6th September 2017, channels to use will be VHF 62, 63 and 64. The use of VHF Channel 10 for MSI and pollution control (back up) is unchanged. What will happen if I use the old channels after 6th September? Next story Lobster pots campaign – sign the petition!